The tote board has turned blood-red yet again for Bitcoin (BTC). In the midst of a seven-day losing streak, BTC is selling off in both the cash and futures markets. Everyone in the cryptocurrency space is wondering where the bottom is for the plummeting asset class. Right now, BTC is seeking a foothold near $7500. 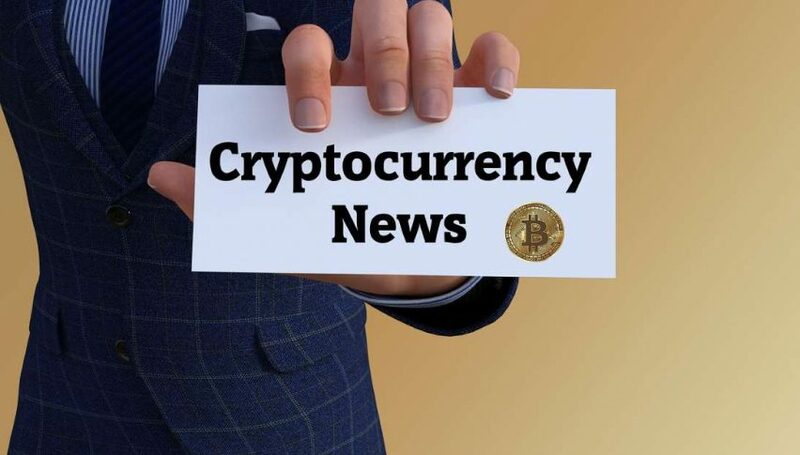 Late-breaking reports from Wednesday have cited the closure of two cryptocurrency exchanges in Japan as being the latest driver of investor paranoia. In the midst of a $500 million hacking theft, Japan’s Financial Services Agency (FSA) has launched an aggressive campaign addressing crypto security. The result has been numerous exchanges pulling out of the lucrative Japanese market. Stories such as these do not help the floundering cryptocurrency environment. While the industry is certainly much larger than Japan, high-profile thefts and exchange closures undermine consumer confidence. It will be interesting to see if the fledgling asset class can rebound from a brutal first quarter of 2018. On the cash markets, BTC is down another 7% over the last 24 hours. The recent selloff has buried values, with BTC down 14% weekly and 30% monthly. Is it time to buy BTC or run for the hills? 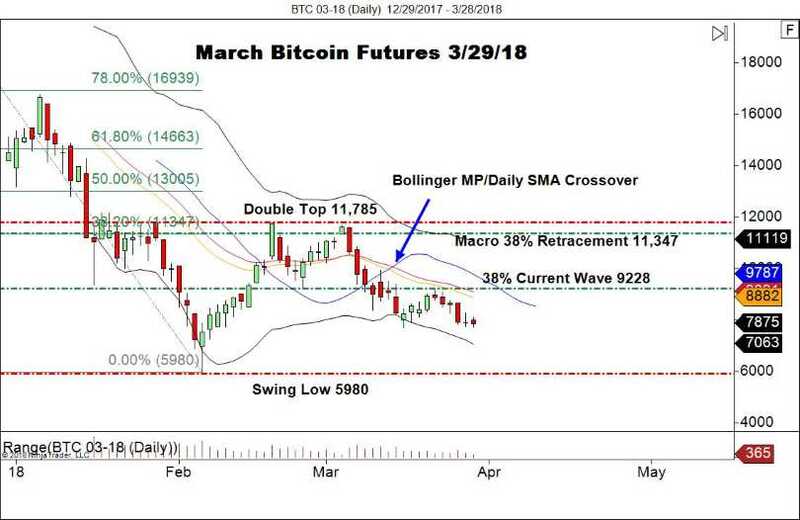 Currently, BTC futures are rolling over from the March to April contract. Volumes are low and split, with values in the neighborhood of $7500. Overview: The March BTC futures contract is in a classic downtrend. Price rejected the $9228 level and has consistently churned south. For intermediate-term bulls, this is an extremely negative technical scenario. Sometimes a commonsense approach to the markets is the best one. I expect BTC to consolidate around the big round level of $7500 for the near future. But, rest assured that a break is coming. Whether the move is to $5000 or $10,000 is anyone’s guess. Until we see a return to $10,000, my bias will remain decisively bearish.